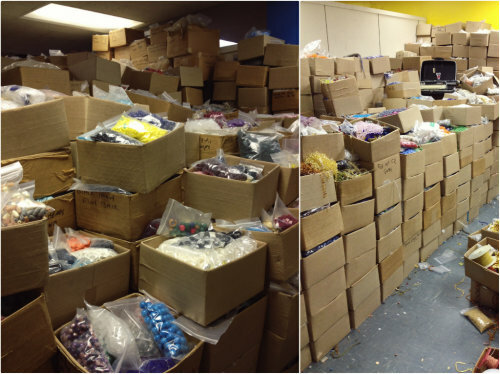 I promised a post about one of my go-to wholesale jewelry supply warehouses in NYC and today I'm giving you the full run down! 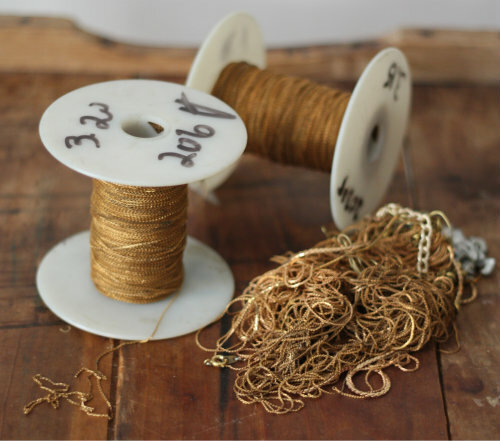 Some of my favorite materials to incorporate in my jewelry designs are unique vintage odds and ends that can be brought back to life and into the spotlight in the form of wearable jewelry. A great vintage find can be amazing, but what's even more amazing is when you can score an entire deadstock vintage collection of one thing or another. Deadstock vintage simply means an item or collection of items is still brand new in the original box or has the original tags but was never sold or used on the market. It's also commonly referred to as "new old stock" or "NOS" — basically, brand new but made over 20 or more years ago. 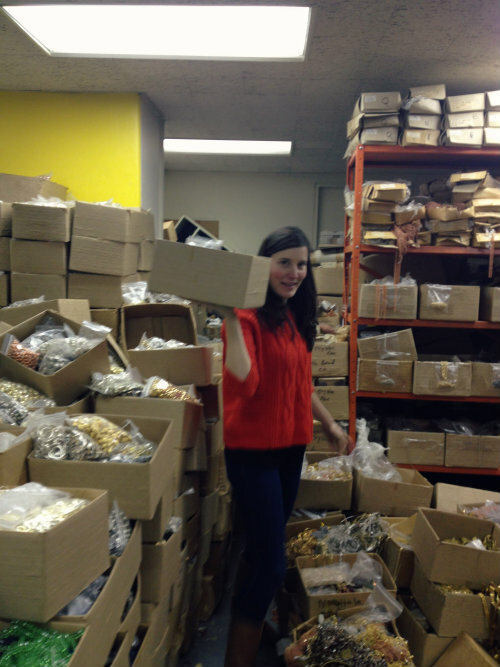 I get lots of questions on where and how I find so many of the components in my jewelry and one of my best sources are the wholesale jewelry supply warehouses located in Manhattan. 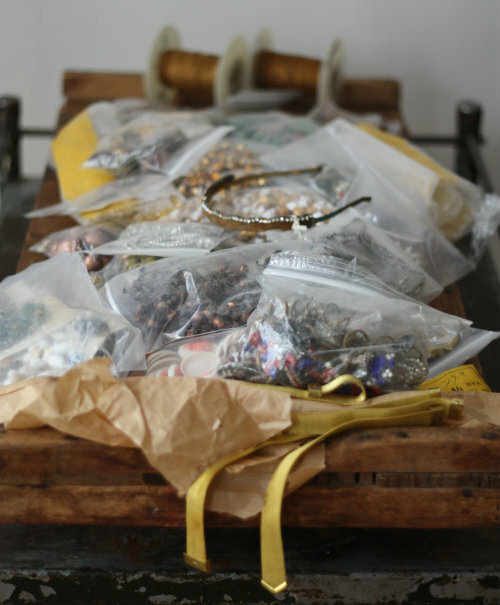 When I lived in Brooklyn, it was easy to hop on the train and spend a day in the city rummaging through rows and boxes of jewelry parts just waiting for a new life — plus, the more you buy, the lower the bulk pricing kicks in. I'm sure there are tons of warehouses like this all over the country, but these are the ones I know about since I lived so close. 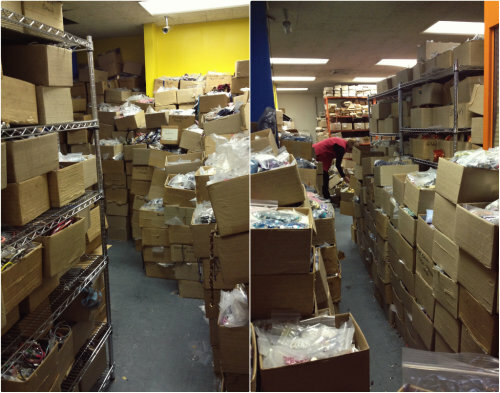 CJS Sales Warehouse is one the best places to visit if you're in the city. 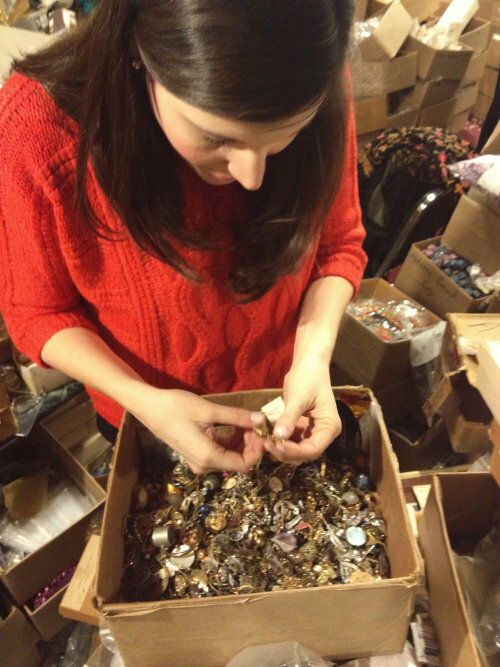 CJS (stands for Craft Jewelry Supplies) is a 5,000 square foot warehouse hidden in the heart of Manhattan and a well kept secret among many jewelry designers. 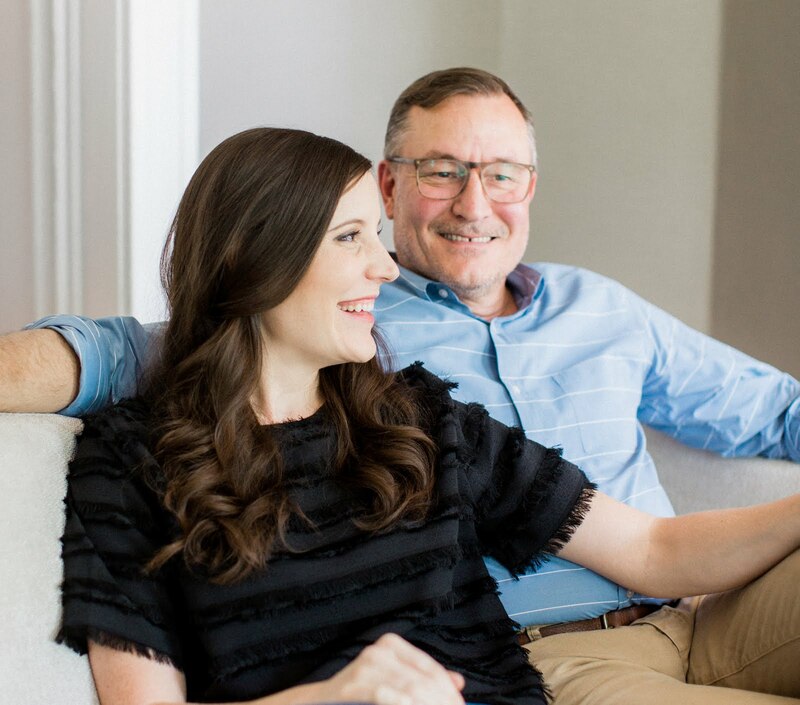 It's owned and run by father/daughter duo Carl and Elyse Schimel, who both know the warehouse and jewelry design in general like the back of their hands. They've made it their business to buy out entire collections and liquidate stores and suppliers going out of business in order to keep stocking their own warehouse with new finds — making it easy for creative types and designers to dig through the goods all in one place. Why is it a secret? 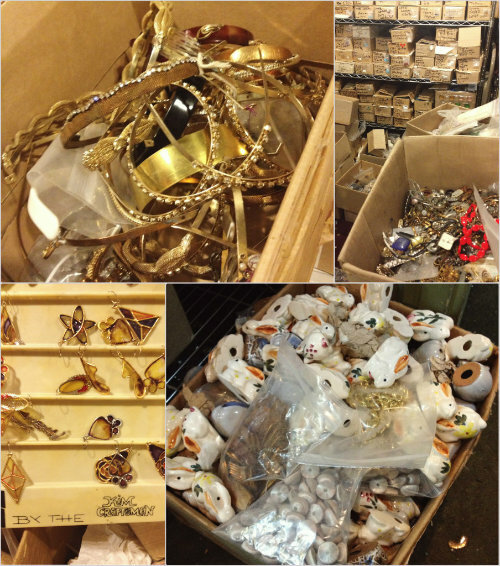 This place is stocked floor to ceiling with boxes of vintage closeout and deadstock jewelry, findings, beads and more. What you find there might be the only bag of it left anywhere — and I'm telling you, the stuff you can find is good. 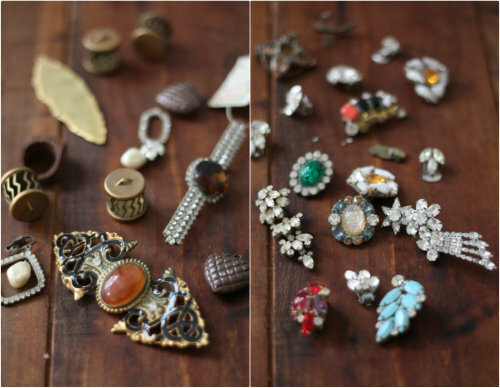 To name a small fraction of things you can find in their collection — vintage jewelry, jewelry parts, cameos, beads, findings, cabochons, filigree, stones, stampings, components, chain, vintage Swarovski crystals, Australian crystal, rhinestones, bakelite, lucite and some just plain old oddities (my fave! )....I could go on and on. You will most likely feel slightly overwhelmed and very much-so in awe at this point. You know now that you are in on this hidden gem. Elyse, Carl or another member of the helpful staff will be there to greet you and help you get your bearings if it's your first time there. Ask for a tour so you can get a feel for all the different rooms — they do have some method to this amazing madness! Once you're ready to dig in, they'll give you a big empty box to collect all your finds while hunting around. Warning — it can fill up fast! 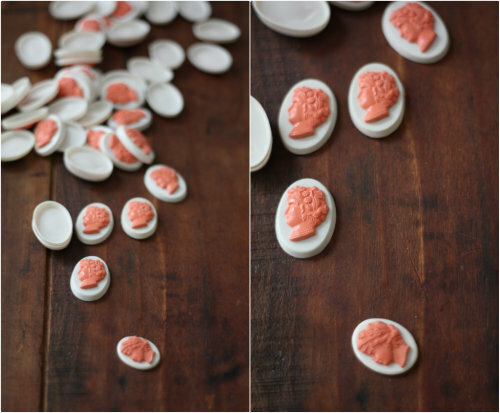 That top left image was a box filled with vintage tiaras. I will admit that I left with one. But hey, vintage bridal headpieces are so popular right now, I couldn't help it. Poor Tim, I bet in all of his lifetime he never imaged being photographed and blogged about in front of a wall full of Swarovski crystals. It's quite a lot to take in, so we took our time. Once ready, you take your box back up to the front where you came in and you'll be able to check out. Some prices are by the pound, other by the piece, depending on what you get. The staff will be able to tell you as you go along or you can collect as you go and then ask about pricing at the end. 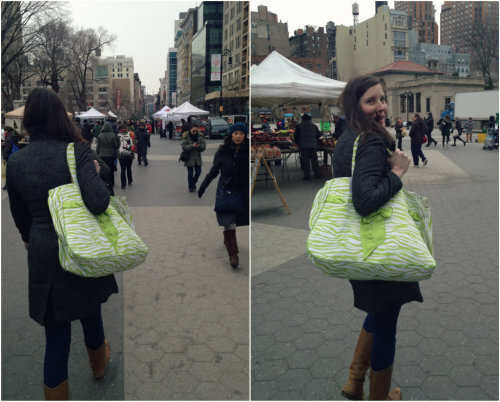 Ha, Tim caught a few shots of me walking through the city with my new fashionable green and white zebra print bag from CJS filled with 12 pounds of jewelry supplies. It was pretty funny — nothing quite screams tourist like one of these babies! As you can see, it was quite the trip! 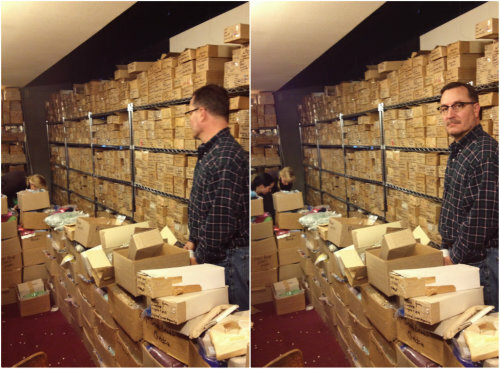 We were so thrilled to discover the hidden gem that is CJS Sales warehouse and are already planning how to fit another visit in on our next trip to the city. 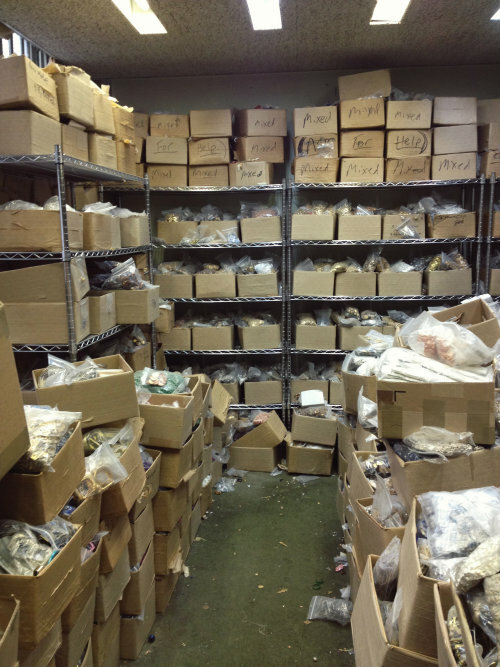 While CJS Sales does have a website and Facebook Page, you must go onsite to the warehouse to buy any supplies; however, it is so worth the trip. 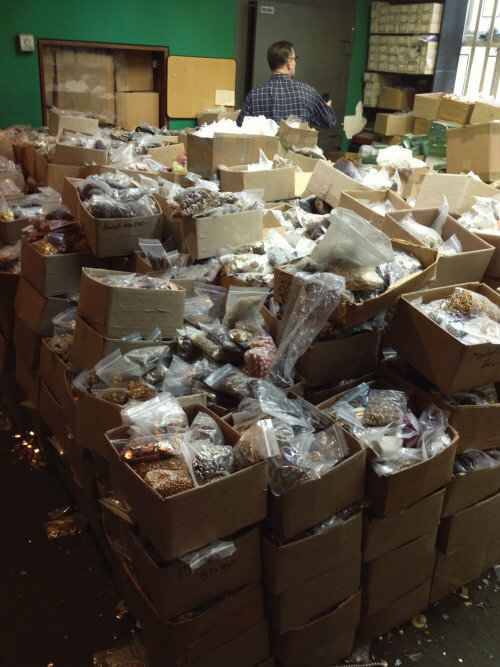 You've also got to be prepared to buy in a wholesale format — everything you find is sold by the bag, box, or lot. I'm used to purchasing this way for limited pieces in my jewelry collection that I like to keep in regular stock, so it's refreshing for me to be able to buy the entire bag of whatever it was I come across. The space is big and there are lots of different rooms. 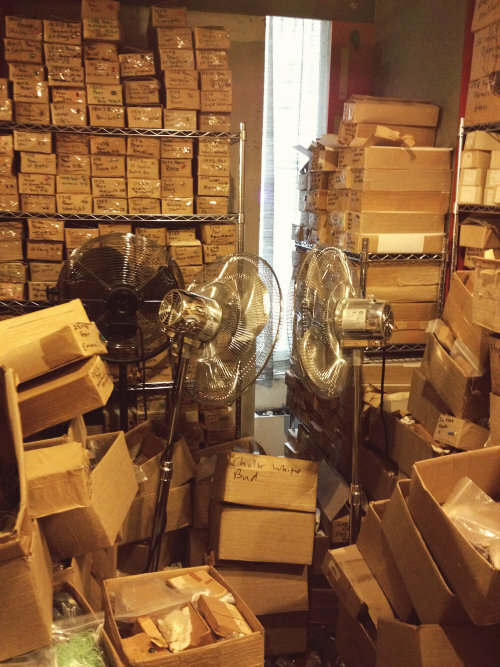 Ask Elyse or Carl for a quick tour and overview before digging in — they know every nook and cranny of the 5,000 square foot warehouse like the backs of their hands. You need to have a passion for treasure hunting. If you are willing to hunt, you won't be disappointed. Prepare to get a little dirty. The kind of dirty that makes your heart race from digging up treasure. Elyse is really good and pinpointing your taste and creative style — let her know what you like and she will bring things for you to look at while you shop around. She's not offended if it's not the right fit but when she gets it she really gets it. Elyse had already looked at my Jewelry shop before I came to the space so she had a feel for things I might like — if you plan in advance of your trip, feel free to shoot her a link to your portfolio, Etsy shop, or current collection (or just take photos with you in person). Plan a couple trips. Tim and I spent a few hours in the space before we got really hungry for lunch and didn't have time to go back in the same week. It's a good idea to go for a few hours, get a feel for the space, then go back again for some serious treasure hunting — we hear the majority of people come and spend an entire day there. Be prepared to pay cash if you spend under $100 — you can use a card for anything over $100. 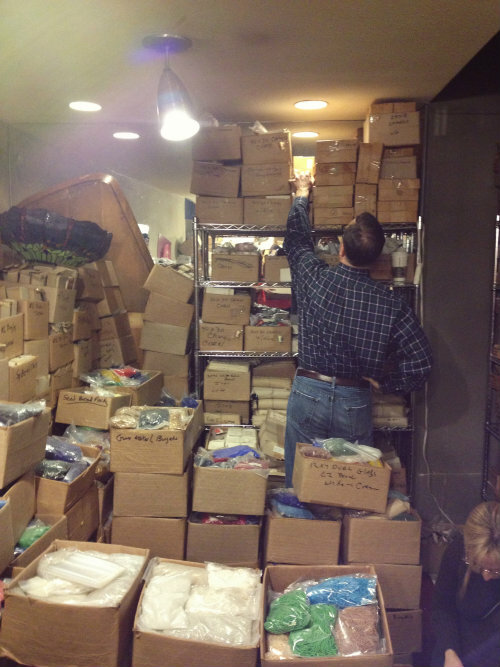 Keep up with the CJS Sales Facebook Page and Twitter Account for updates on new deliveries — they come in by the truckload sometimes since they buy out complete collections and liquidated boxes. 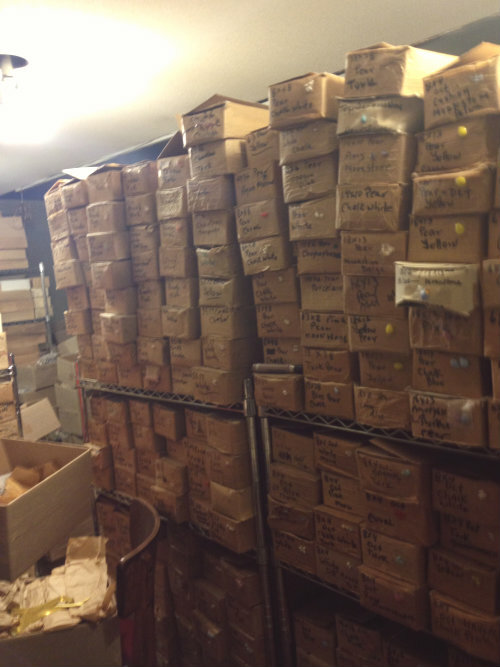 You may never be the same once you've been to CJS Sales warehouse. I warned you. If you stop by feel free to let Elyse and Carl know that Mary & Tim sent you — they'll be happy to give you a tour and help you locate anything you might be looking for or have in mind. 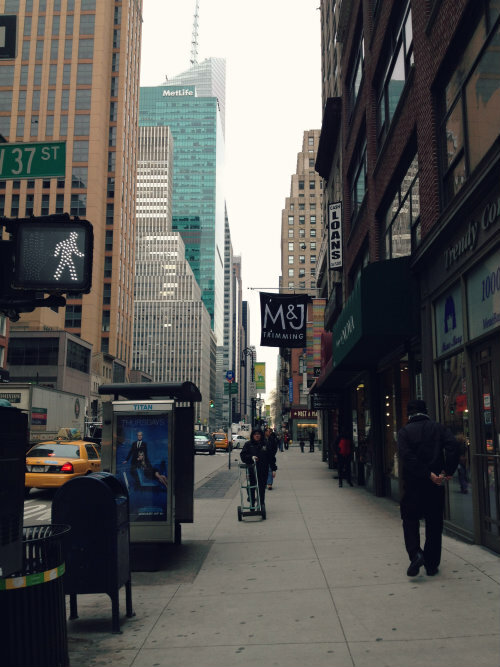 So, will you go to CJS on your next trip to the city? Have a favorite supply warehouse near you or make a destination for that we should all know about? We'd love to know more in the comments section below so we can check them out next time we're in the area. This might be a pretty basic question, but if I don't own a store and don't mind buying bags of things (instead of single items), am I allowed to shop there? I've never been to a wholesale store before, but this place looks too awesome to pass up! Great question Jeanna! I think it would be more than OK — just shoot an email to Elyse (elyse@cjssales.com) and she will be able to let you know and answer any related questions. You are, without doubt the coolest people I know!!!! You are my Anthony Bourdain of amazing jewelry finds. So now when I have a layover in NY I'm putting that on my list of places I must get to :) So. Darn. Cool!!! Haha, Angie you are too funny. This place is definitely one to see if you are dipping into the city — worth the trip! I agree with Angie....a layover destination!! Although I am depressed that I just can't drive over there & shop! I am soooo jealous!!! So depressed we have to make a big trip too, but it does make it that much more exciting when we do go! Oh good gracious. That place sounds like a little slice of heaven! Mary and Tim: We luv your awesome post!!!!!! Thank you! Great post..you totally captured CJS. Now you're making me want to go back again, even though I've barely used what I got the last time. There's always room for more. Sounds like a great place to spend a day. I'm in NJ (30 min outside the city). Would love to come in. Adding this to my list of suppliers. Thanks for the info. Thanks Mary and Tim for such a wonderful description of CJS. I was there with my husband right after Christmas for my first visit and the place is awesome!! I had so much fun the first day, that I went back for a few more hours the next day and got some marvelous vintage beads, chain and findings. Can't wait to go back again! That is amazing. I could get seriously lost in there (but in a good way) :) Thanks for sharing Mary! What this place is nuts! 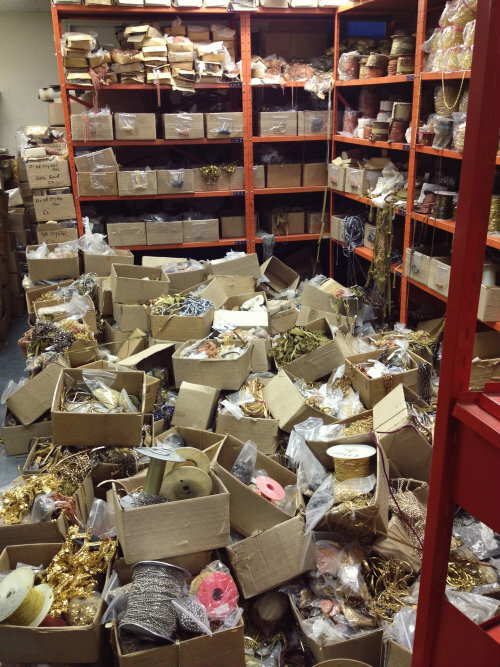 I would never have the patience to dig through so much stuff, I am sure you could spend a week there and not see it all. Great advice Mary! 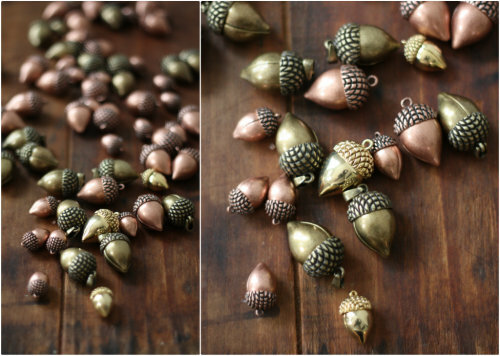 The pics of your haul are amazing..I could use those silver hearts and gold acorns.....CJS is truly a find...have checked them out on lone and on FB....enjoying your blog..it gives me inspiration to get busy and work on mine! So glad to hear it Joy! I also need to find the time to sit down and work with the great stuff we found! 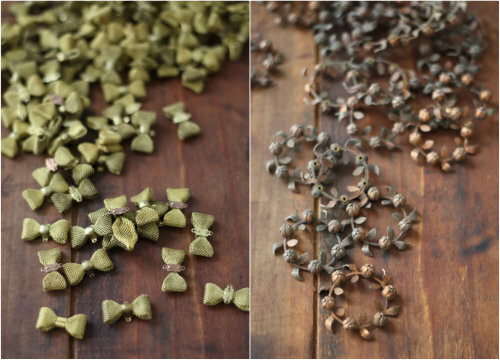 we r manufacturer of horn,bone,wood,resin,beads and all kind jewelery. Hi, i was looking for just this place....thx so i was wondering can you shop there without having a business of you own? Omg! They usually have all which??? And also the two memorize every piece? Omg! I'd like to choose some accessories hunting as part of that destination later on! I love individuals sweet cameos too. Thanks! we are heading there on monday of next week..so very excited.... your blog piece has made me all the more excited !!! now i really cant wait !!! Did you make it by CJS on your trip? We'd love to hear how it went — this place is such a true gem! My word. It's like a treasure house. That's almost dreamlike. I would never imagine being in a place like that. 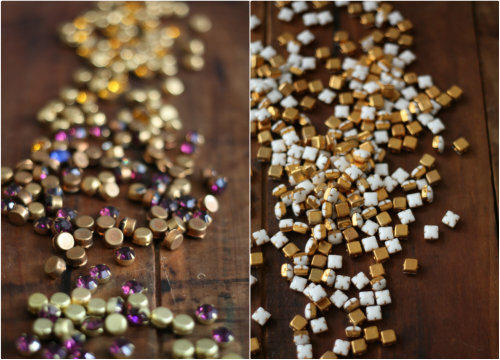 Wall to wall nothing but jewelry making supplies. The store I normally shop at has nothing near to that in terms of the range of item they offer and I suppose, the prices are different too. That is so cool and inspiring too for people who have been looking for, shall I say it- Wonderland :-). Thanks for sharing your experience with us. Oh my gosh...I wish I had known about this store when I visited NYC Last year looking for items for my Etsy jewelry and hair bow shop :( but thanks so much for letting us know! 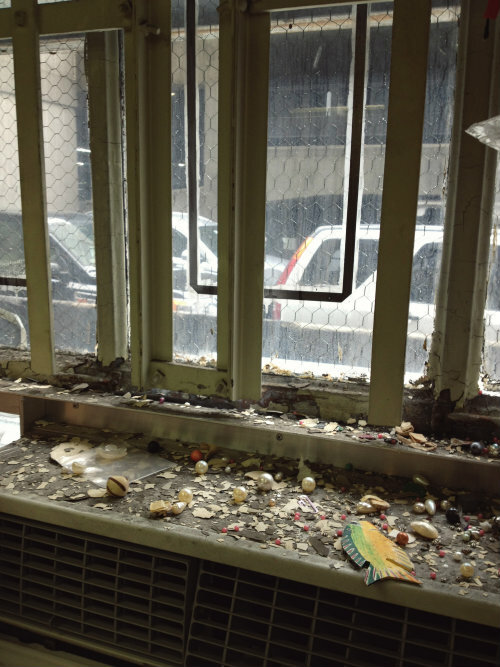 While I'm thinking about it....would you have any more tips of wholesaling jewelry suppliers in NYC? I would love to know if you wouldn't mind sharing. My email is Daisypinkwish@yahoo.com or feel free to visit my blog to let me know. Thanks so much! What an amazing post and place! 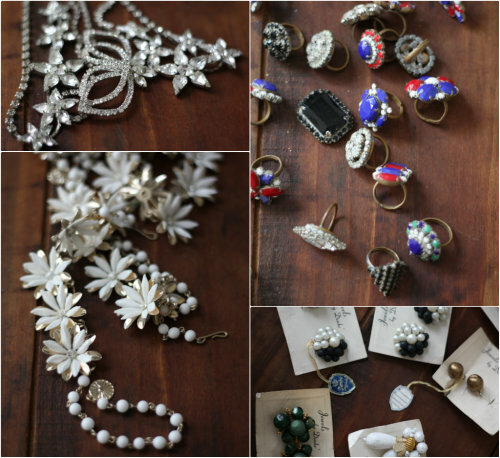 It's heaven for any vintage jewelry maker, and thanks for sharing! I'll have to visit on my next trip to NYC. What a amazing place ! I'm delighted with this post ! 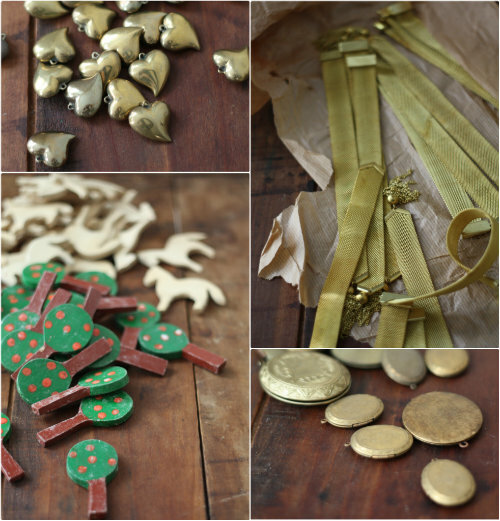 This gives me great ideas for my DIY projects (specially scrapbooking) ! Im just worried that I could not buy anything if I don't own a business, right ? I would definitely stop by when I go back to visit NY again ! Tks a lot. You can certainly visit but a tax idea is required to purchase. It is fun just to walk through! Wonderful collections of jewellery it is. 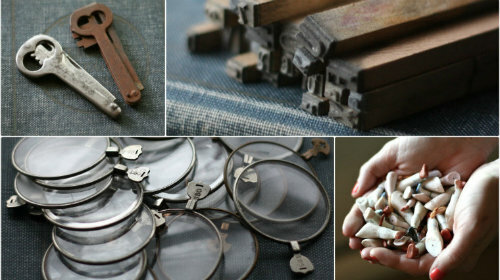 Beautiful and unique vintage designs, i saw all the images of the jewelry items that shared in blog all are too good and will give a stunning look. I have purchased a beautiful gold jewelry from a Greenbrier store located in Chesapeake VA. There I found unique and different designer jewelry like images you shared. Like Anonymous above, are there smaller shops in NYC that offer similar assortment of jewelry supplies where the average person could purchase without a Biz ID? Like Anonymous above, are there smaller suppliers in NYC with the same variety of items? Also does CJS have a catalog? 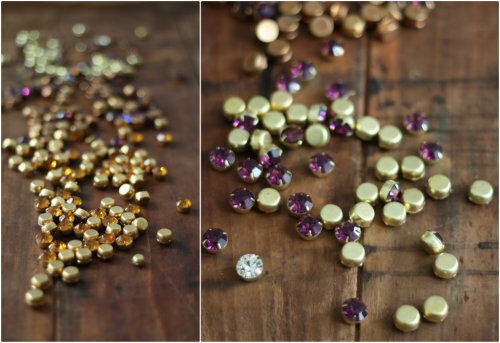 Best info I've read since I started my jewelry business in 2006! I can't wait to visit CJS, I'm only 15 miles away in New Jersey!!! Planning trip immediately! Thank you thank you thank you for sharing. You've made my night. Seems like the place I want to be. Thanks so much for sharing. Only one question: How are those treasures priced? By weight; or weight and the category? I have just found CJS via google and then found your blog. Do you have other recommendations of warehouses to visit. I am in NC and if I come that way, I would stay a week to make it worth the trip... although I think CJS would certainly be worth it alone. Thank you for any info you would be willing to share. Thank you so much for blogging about this! I was there today - what an adventure! Walked out with a ton of stuff at a great price - and unique items too - totally worth the time. Thanks again!! If you have an Etsy shop can you shop there? shhhhh ..it's NOT a secret if you tell everyone !!!! I used to go to warehouses just like this in Rhode Island..I usually came back with a ton of things that I never used but the prices were great. I think I visited CGS many years ago..very overwhelming. Is Benmark still in business? Great post..you totally captured CJS jewelry store. Now you're making me want to go back again, even though I've barely used what I got the last time. There's always room for more. Good post again and thanks for sharing. informative post. I appreciate your contribution to society. I think I visited CGS many years ago..very overwhelming. They lost their lease at their current location. So, they are selling at great discounts. Their new place is much smaller so they need to sell. They are moving at the beginning of May. Check out their facebook page, CJS Sales: Crafts, Jewelry, Supplies. Lots to still sell. Happy digging!!! !